Lyn Telford, BSN, RN, CEN, feels like she ‘grew up’ in the emergency department because her career started there at a young age. At 19, she wanted to be a health care administrator, so she began work in the hospital as a patient registrar, duties which include interacting with people headed for the ED. She registered patients and then wondered about their next steps. Telford built relationships with triage nurses who encouraged her to become a nurse. Telford moved to the ED full time as a unit coordinator in 2002. Six years later, she was an emergency nurse. Even during her first six months as a nurse, however, Telford questioned whether emergency nursing would be a good fit for her; handling the various circumstances patients presented with was sometimes overwhelming. But she discovered contributing to a team of nurses and physicians dedicated to helping people got her through the difficult times. Like so many before her, Telford became hooked on emergency nursing. Telford has since moved from the ED front line to Essentia Health’s quality partner in Fargo, North Dakota. 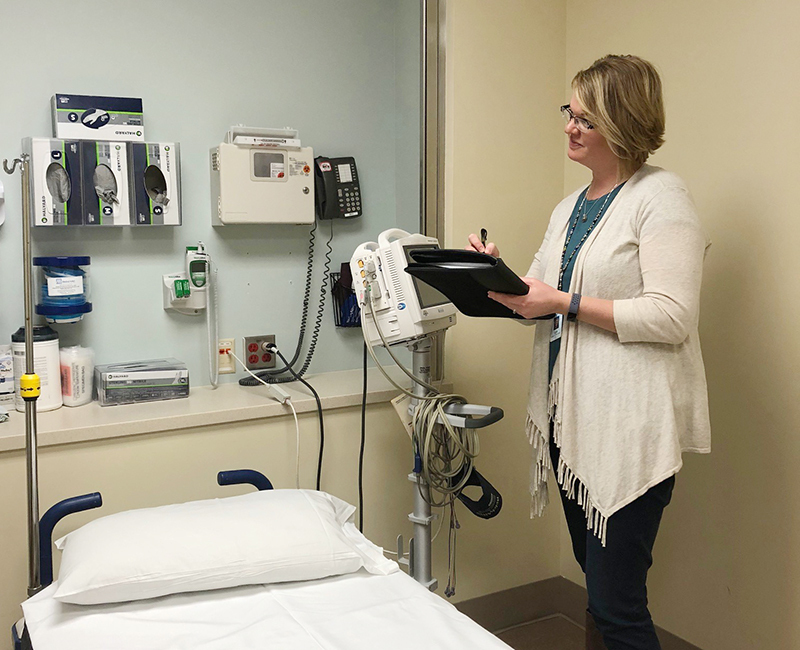 Although she’s not directly involved with patient care, Telford has a significant impact on Essentia’s ED regarding quality improvement and is working to further her practice by obtaining a master’s degree in nursing leadership. She received a boost toward her goal when she was awarded the Anita Dorr Graduate Scholarship from the ENA Foundation, which provides $5,000 toward a degree in nursing administration. Telford first became involved in ENA after returning to North Dakota years ago to take on a supervisory role in an ED there. She connected with colleagues who were ENA members and encouraged her to join. Her first interaction with the association was serving on the Awards Advisory Committee.